The Diageo Claive Vidiz Collection, one of the biggest Scotch whisky collections in the world, is to remain on display at the Scotch Whisky Experience in Edinburgh until at least 2029. Spirits giant Diageo, which owns the 3,384-bottle collection, has agreed to a new 10-year extension of its initial loan to ensure the collection remains ‘a key part of the Scotch whisky tourism landscape’. 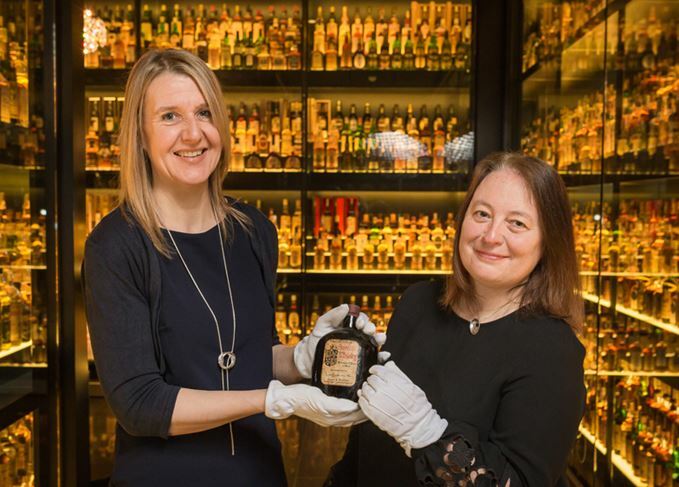 Christine McCafferty, chief archivist for Diageo, said: ‘We’re delighted with the work the Scotch Whisky Experience has done to ensure the collection is cared for and displayed to maximum effect. The collection was assembled over 35 years by Brazilian businessman and whisky aficionado Claive Vidiz, before being acquired by Diageo and shipped to Scotland in 2009. Since then, the collection has been on public display at the Scotch Whisky Experience in order to provide visitors with an insight into Scotland’s whisky history. The collection has famously been misreported in the press as ‘the world’s largest whisky collection’ which has since been disputed by whisky experts and historians. While the collection continues to act as a major Edinburgh tourist attraction, Diageo has also submitted plans to open a seven-storey Johnnie Walker Experience in the city as part of its ongoing investment into Scotch whisky tourism.